A shambolic, UK archaeologist-backed call for metal detecting to be legalised in Ireland! 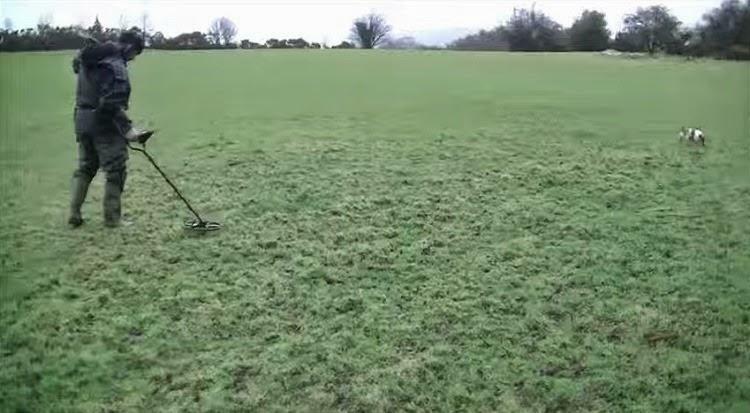 A video calling for metal detecting to be legalised in Ireland has just been published. It claims that unlicensed metal detecting in England and Wales is a triumph and uses the familiar tactic of highlighting some positives (in this case that Norwich Castle Museum is replete with detecting finds!) to imply that detectorists in general conform to good practice (“mutual respect and a closely forged partnership”!) If only that was true! We could be campaigning for artefact hunting to be on the national curriculum and for the whole population to be doing it for the national benefit!” Maybe the Norwich archaeologists should be calling for that?! Or maybe they should talk to CBA, EH or even PAS who are in a rather better position to know the wider reality of the activity? This one has really got you lots knickers in a twist hasn’t it. Metal detecting is here to stay as it is and hopefully it can be integrated over there too. There could hardly be a more eloquent illustration of why regulation is needed, which is all we’ve ever advocated. Is this really UK-archaeologist backed? to prevent the communal archaeological heritage being destroyed so that individuals can select items for their private collections or for sale, for their own private profit or discarded for not being ‘interesting ‘ or valuable enough for their personal interests. Yes, fair point, NI has sensible controls. Interestingly the Nighthawking Report observed that there were no reported nighthawking cases there at that time, which blows the claim that regulation would lead to an explosion of criminality right out of the water. If so, that would be just plain wrong IMO. By what right, and on whose behalf? Mr Baines’ “you lot” would not happen to include the heritage professionals Mr Nolan’s video claims are 100% behind rewriting the heritage legislation of an entire country to accommodate artefact collects, would it? His comment does not sound much like that claimed “mutual respect and close partnership” is all that deep-reaching in the artefact hunting community. There are issues with what the PAS is doing, and what it claims to be achieving. Detectorists may prefer not to address them, but that does not mean the issues go away or that others will cease to raise them and discuss their implications for policy. Come the next government spending review and we’ll see if the PAS is “here to stay as it is” and if its not, then a sizeable bit of GB artefact hunting is not either. I think the degree to which PAS professional staff are being replaced by outside volunteers and the criticisms of what the FLO did to the Lenborough hoard gives us a clue as to the way the cookie is crumbling. And crumble it probably will. Mr Baines should enjoy it while he can, the 1990s are not coming back. Mr Barford is now suffering from a dose of sour grapes to be honest could you blame him. He now will have to look the face of change in the eye and and go with the flow or be left behind. Its a sad day when even your own kind can accept change but you are stuck in your own little quagmire. I guess your self opinionated postings will have no value now and that must make you feel lost. I suppose in time those who like to root out the odd ball will find your mad rantings on some weird obscure blog. Personally I don’t think there’s a snowball’s chance in Hell that Ireland will legalise metal detecting on the GB model. What makes you think it will? I think it’s a case of wishful thinking. If it isn’t then no doubt you’ll supply a list of archaeologists who are lobbying for it? Progress is something you cannot stop or hold back and even if you could would you want to. Metal detecting in Ireland is already legal its just a matter of doing it within the law. Some archaeologists think their degree qualifies them to give their opinion about law .They have the neck to call metal detectorists amateurs? The silliness needs to stop and we need to start working with each other and provide the best answers to the public. Not forgetting its the public who pay the wages of archaeologists time to move on and do the real job they get paid for. “Frank” seems to think that it’s enough to produce a video and the whole of the cultural legislation of an entire country will come tumbling down and we will all have to “look the face of change in the eye” (sic). Artefact hunters with their attitudes of entitlement really need to accept that their metal detecting has a social context, and that social context has changed a lot since 1997. I also bet you anything you like Pestell, Marsden and Rogerson chicken out of debating this issue properly, won’t they? Where else, apart from in this video, do they advocate scrapping Irish heritage law? When they were filmed, did they know what the material was going to be used for? @Roscommener, do you really believe metal detecting does not already take place in Ireland? Why not have a UK style setup that will allow the public to benefit from the finds that are made. Why do you feel members of the public should not be able to take part in a hobby which is good for your health and very satisfying in many other ways? @Paul Barford do you actually think that metal detecting is coming to an end as we know it? That seems a really odd view for anyone, either for or against. I really see no evidence to back up that bold claim you have made. Why after investing so much money, time and effort into something which has turned beneficial for the whole country. Your right its not the 90’s anymore, there is a whole load more support now from the public and those in power. Time to take the blinkers off. But I repeat, it just looks like wishful thinking on your part. You haven’t posted a list of Irish archaeologists who are pushing for legalisation. Isn’t that because there is no such appetite for it except amongst detectorists? Andy, yes of course Ireland has some people who detect illegally. So what? It’s a tiny number compared with GB so the law is working. I’m betting absolutely not. I’m also betting that now they do know there’ll be an echoing silence from now on. I wrote to the three Norfolk archaeologists on Saturday asking them if they’d endorse the expansion of UK laws to neighbouring countries. In all three cases the response has been a whole weekend and two working days of absolute silence. My bet is that while they can be coerced into saying wishy-washy things for metal detectorists (as is usual with archaeologists going out on a limb for sake of “the partnership”), none of them is prepared to debate the issue in depth in any form or public forum. But since the film has only had 650 views, them going public is what is needed for “change” (whether you see that as “progress’ or regress). That fits with my impression. I think it’s a case of a single Irish detectorist who happens to be a member of Norwich Detecting Club trying to use the club’s close relations with the local museum to imply protection legislation in Ireland should be abandoned. All a lot of fluff, there’s no real evidence of impending change in Ireland or a wish for it. The only likely result will be some red faces and tight lips in Norfolk. Mr Barford you can choose to be just a miserable awkward grump all your life but I don’t recall anybody making you keeper of what is under the ground. You seem to think somebody owes you some kind of explanation. Hide your head in the sand all you want but we are moving forward with or without you. Now you want to bully archaeologists into agreeing with you? We don’t have any issues in Ireland with metal detecting within the law even the Minister agrees with that. You naysayers need to keep up to date with what is actually going on in Ireland. Don’t you understand things have moved on?. I have personally met with many td and they fully agree things need to be changed so we can get more from the current system. Where were you when our museums were about to close due to lack of funds and visitor numbers with your nonsensical arguments. Where you when they destroyed the viking settlement on wood quay people like you make me laugh.You jump on that high horse and miss the big picture is it any wonder the museums are in a mess. Mr “Frank”, all three archaeologists who appeared in the video went to university, so are unlikely to see anyone asking them to expand on their views as any form of “bullying”, it is normal debate. Yes, as public employees all three owe us an explanation, they were all filmed at work, not as private individuals. You are being a bit disingenuous when saying that the hobby is legal in Ireland and the Minister agrees. I think we need here to differentiate between metal detecting (sic) and artefact hunting. To use a metal detector per se is not against the law in Ireland, to use it without a permit to dig up artefacts to collect and sell is. The whole of section two of the National Monuments (Amendment) Act, 1987 [ http://www.irishstatutebook.ie/1987/en/act/pub/0017/print.html#sec20 ] sets this out quite clearly, and below that, the procedure for obtaining a permit and reporting finds thus made. Section 20 and 23 set out the measures for dealing with those not reporting. Since such a measure to get chance finds and (both legal and illegal) metal detecting finds reported is already in place in the legislation, instituting a PAS is clearly superfluous. How do you know it was not the archaeologists day off work and they were speaking as private individuals.? I am glad you admit its perfectly legal to metal detect in Ireland maybe the message is getting home at last. The person who made the post with the pictures above with the intention of inflaming the situation might keep in mind the legal status in Ireland regarding metal detecting. We are well aware of the metal detecting law in Ireland and do our best to adhere to it at all times. As you say if we were to come across by chance artifacts we are aware we must report them within 96 hours. I have a letter from the Ministers office where he makes it quite clear he has no issue with metal detecting within the law and agrees its getting more popular. It looks like you are one of the few with a problem and part of the elitists group who want to keep the status quo. I can understand that change is hard to accept when you have had things your own way for so long. Nobody around to challenge anything you say regardless if you are right or wrong. Some people might call that protectionism we tend to think of it as mental adjustment. Already archaeologists with foresight are working along side people who metal detect with fantastic results. Take a look around youtube the archaeologists you mention are not the only ones that are talking about how good it is to work with the metal detecting community. This intransigence you display will not stop the wheels of progress. As for whether or not unregulated private collecting of artefacts is good for the archaeological record, well, that’s what we have to debate. Looking at it in the wider context a lot of archaeologists the world over see it as a huge problem. Globally, those insular archaeologists who “say” they support collecting are the exception, not the rule. Strangely these individuals seem rather shy of proselytizing that view in the global community. Maybe metal detectorists can chivvy them along in the pursuit of what they see as “progress”. Frank, your wishful thinking is almost comical. Of course he hasn’t, no-one has, but that doesn’t mean he supports changing the law. See? So, any actual EVIDENCE that the Irish Government or its professional advisers are considering going down the English route? Without it all this talk of “change” is pretty meaningless. It might keep you and your mates’ spirits up but it doesn’t carry any weight elsewhere. Oh, and we’re all still waiting for a list of the Irish archaeologists you say are supporting your campaign. I take it from your last post that you don’t have a problem with metal detecting but rather the inner workings of the UK system. Would you like see the system improved and implemented in Ireland? If that is the case then I take it you would support such a law change as to allow the UK system to be introduced in Ireland. which I thought, like my previous ones, was in pretty plain English. Apparently not. heritageaction, your attempt at slandering the good name of metal detectorists all over the world is just as comical. 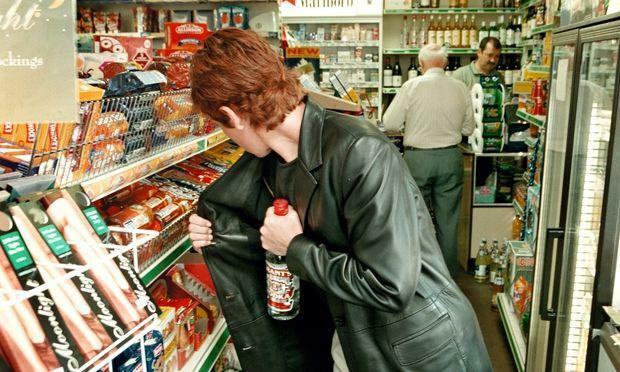 More so the fact that the person in the picture is stealing alcohol. Don’t you have any pictures of people metal detecting stealing all this loot that you people go on about so much?. I don’t have a clue what list you are on about did I offer one?. I can assure you the Irish Government are considering lots of things but I doubt metal detecting or archaeologists are top of the list. I would think keeping their own job tops the bill at the moment. We will be sure to remind them of our needs when the elections in Ireland start at the end of the year. You were asked to supply the names of Irish archaeologists who want metal detecting legalised. You haven’t. Simple. As for “slandering the good name of metal detectorists all over the world”, not reporting finds is knowledge theft. Simple. Words don’t work if you break the law, legal or moral. heritageaction, assumptions and innuendo nothing more than that not unlike your picture. A case of throw enough mud at the wall and hope some of it will stick. We having nothing to defend here the video clip explains our position most elegantly. The fact you lads are running around the internet in panic shows the public you feel you need to defend your own position. Take it from me you guys have nothing to fear we are not going to take your toys away or anything. Accept and embrace let us work with each other to better the system.This is the is the beginning of a new day together we can make change happen for the better of us all. Conor was 13 years old when he made contact with me about his hobby of metal detecting. That would be about two years ago now for a lad 13 years old it was shocking what he was about to reveal. Conor started of detecting for the same reasons we all do curiosity and to feel and see that history in a tangible way in his hands. He came to our internet forum each day to tell us of his great finds maybe an old button or a coin. He made some great videos and made contact with detecting enthusiasts all over the world. His brain was soaking in the history of not only Ireland but the world. Sometime around 2013 Conor was sent an email by a leading Irish archaeologist who likes to write books about his pet hate – metal detecting. Conor was told in no uncertain terms to desist from metal detecting and making videos. He was also told that his parents were to make contact with this leading archaeologist. Keep in mind this child was 13 years old and most likely the leading archaeologist had moved his hate filled passion far beyond his remit and that of the law. Hi Frank well my parents replied to xxxxx about a week ago basically stating that ‘I was upset that I couldn’t engage in my hobby anymore and theres worse that I could be doing’ etc, no reply for about a week so thought we had shook him off but no, email today from him and hes sending an archie down to look at my finds or else I can email him a list of finds that ive made. He also went on that ‘even if a site isn’t listed as a national monument I still cant detect on it because it MAY have once been a historical site’ that could be my back garden if he decides! He saw the post I put up on the forum showing his email, by the way. Anyway im just asking for advice on what to do next but the thing is he’s seen everything on youtube so he knows everything ive found. By the way he told me to stop making youtube videos too. We don’t see or hear from Conor anymore and he is not making videos. How sad that a young boy full of the joys of life gets stubbed out by an anti metal detectorists archaeologist. It’s a strange twist that this same leading archaeologist started his own career as a boy collecting coins. Unfortunately Conor may never reach his full potential because of this stupid man. Frank, “assumptions and innuendo nothing more” …. we have been studying this for more than a decade and have heard all the denials. The fact is, the great majority of UK detectorists don’t report a large number of finds and are knowledge thieves. The statistics are extremely clear and aren’t disputed by the professionals. Calling that “assumptions and innuendo nothing more” is profoundly boring and impresses no-one. In fact it advertises a less than straight attitude towards what is going on. As for “Conor”, my grandson is an archaeology nutcase. He is in the Young Archaeologists Club, encouraged by his parents. Maybe you and Conor’s parents should encourage Conor to do something similar. The story that “we can only indulge our passion for history through detecting” is old hat and nonsense – and not one tenth as intellectually satisfying or community spirited as amateur archaeology. We can talk till the cows come home but all that is true plus in Ireland there’s the added dimension that searching for artefacts is illegal. Find a proper hobby, man, and stop pretending you aren’t searching for artefacts, it’s a very, very childish claim that NO_ONE believes. You should be ashamed to be pushing such a silly claim. While you’re at it, you should simply encourage the likes of Conor to take up the right, lawful, intellectually challenging and morally justifiable approach to archaeology. As for panicking, we’ll do that when you produce a list of influential professionals in Ireland who are supporting your campaign. He is not on sterile ground, shows us a “live dig”, he is using a detection device looking for archaeological material. If this is taking place in Ireland, then what his dad has taken him to do is illegal without a search permit. And please do not insult our intelligence by claiming they “were not looking for anything but old tin cans”. To be quite frank, I do not see any evidence whatsoever here that with such recovery methods, we can learn much about “history” from what Conor and his Dad are taking out of the ground. I see absolutely no evidence that the lad himself has learnt much about history from his finds, which he displays as trophies rather than evidence. He has not even learnt about the objects themselves, that the “front” of a coin is called the obverse. It is not “anti-detecting” to point out to somebody that what they are doing may be against the law. I’d also like to add that the dreadful maudlin stuff about the little boy is counter-productive even from Frank’s perspective as most sensible people will be thinking just one thing: what the hell is the boy’s father doing getting him involved? I don’t think I’d employ Frank as a PR consultant. Attacking me for my honesty and beliefs is one thing but to attack a 13 year old boy for his lack knowledge. Just how far will you guys go to get your point across? Are you willing to attack babies because their father metal detects as a hobby sick sick perverted behavior. I am sure archaeologists (good ones) are right now are cringing and thinking to themselves this pair are representing us oh my god! The untruths you lads type and the assumptions and innuendo all far fetched nonsensical dribble . I am sorry lads I will not participate in a debate where it attacks children and for a man who claims to be a grandfather tut tut hang head in shame. It all starts with courtesy and respect lads with luck people will understand a whole lot more when the full tv program starts. But of course, no-one said a single solitary word against that little boy, and wouldn’t, only your truly awful maudlin literary efforts and his less than sensible father – but misrepresenting what has been said and saying I’m outa here is how most detectorists end up when they run out of platitudes and have been confronted with the reality of their activity. “I am sorry lads I will not participate in a debate where it attacks children” Ho ho ho. Everyone can see that’s nonsense. Awesome Metal detecting should be legalise there but the usage should be controled, or there should be rules by the organisation.